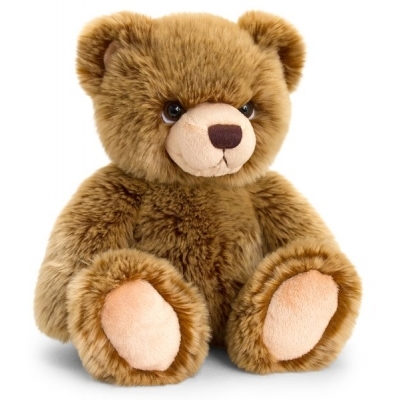 This 35cm sitting Bertie bear from Keel Toys' Signature Cuddle Teddies range is so cute and fluffy you wouldn't want to let him go. It has very soft brown fur, brown nose and brown eyes. This beautiful hand made soft toy was designed Keel Toys and uses the finest materials. It is surface washable and fully conforms to European safety standards EN71.